Do you have a tendency of seeing repeating numbers? It could be on a clock, on the radio or even street signs and addresses. If it happens a lot to you then it could mean that a non physical entity is speaking to you. Being a member of this third dimension, means I can only guess at who or what is trying to communicate with you. It could be a demon, angel, spirit, ghost or deity. As the different potential entities operate above or below our plane of existence, they are forced to communicate through indirect means. Spiritual specialists have surmised the meanings behind these repetitions. Like other forms of divination, this interpretation is going to be very personal. While these guidelines will provide the general map, it will be up to you to highlight what it means to you and your life. Repetitions of this number show that you are on the ‘right’ path for you. It is an affirmation of positive energy and productive decisions. This number means that you are coming up on an obstacle. Have faith in yourself and your abilities. Upon seeing this number gather your strength and push away fears and negative people. Three is a very powerful number indicative of dynamic elements. Spiritual guides have been summoned to help you in your endeavors. Seeing this number frequently is an affirmation of your protection against negativity and non productivity. A heavy congregation of fours in your life means that you are gathering many resources. If you have been experiencing financial or emotional strains, this signifies the end and will point you towards a beneficial time. Fives reveal an end of stagnation or a negative rut. Your life is or will be given a universally forward moving energy. Past plans that have been held up will buckle under this productive pressure. Prominent and fantastic elements are about to enter your life. Sixes are normally credited with demonic powers and influence. This is not always the case. Mathematics are a universal language used by any sentient being. Seeing this number everywhere doesn’t have to mean that you are about to possessed or anything that dramatic. Sixes are a general warning though. It means that you are being influenced by negative energies and need to take time for yourself. Take the time and monitor your emotions and thoughts. Are they uncharacteristically dark or unproductive? Start making moves to breathe healing into yourself and the people around you. Sevens are seen as an omen of good energies and possibilities. The gate to growth and compassion are near so take advantage of the energies and sources available. Eights are normally a bit of a rarity. They indicate a strong connection to a hidden realm of the universe. This realm is related to shamanistic,, healing, and cosmic powers. From this ‘place’ is where angels reside and deep truths are made clear. Nine is the last single digit number, so it makes since that it appears as one chapter closes and another opens. Acknowledge that job you no longer need or that relationship that has turned toxic. Stick your unique path and walk with the knowledge that as one door closes another will open. Nine also favors the opportunity to learn important lessons specific to you. 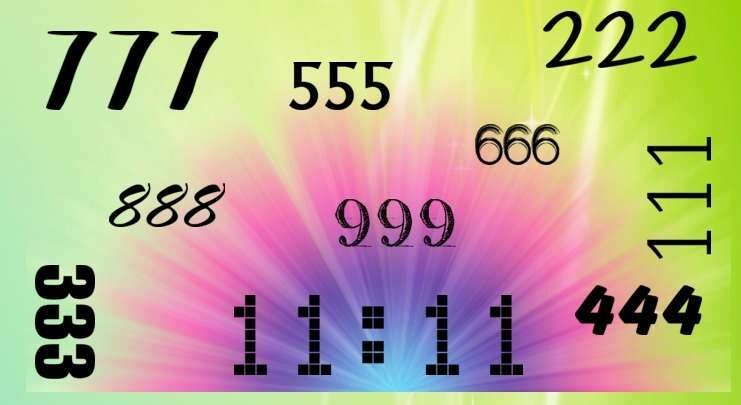 Posted in NumerologyTagged Philosophy, Spirituality, Psychology, Self Improvement, Enneagram of Personality, Powerful numbercommentLeave a Comment on Have You Been Seeing Repeating Numbers? This Is What They Mean!